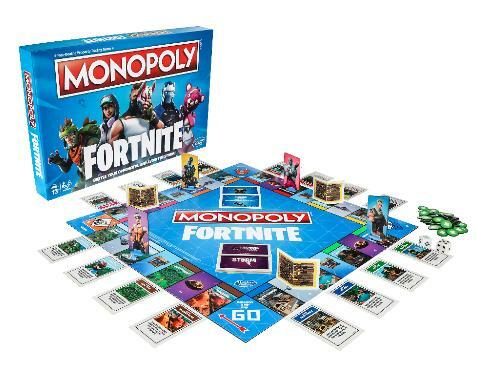 Monopoly Fortnite Addition Just $9.99! MONOPOLY: FORTNITE EDITION BOARD GAME: Fortnite fans, this edition of the Monopoly game is inspired by the popular Fortnite video game! It’s not about what players own; it’s about how long they can survive. BATTLE OPPONENTS: Use loot chest items and the action die to battle opponents in this fun board game for Monopoly fans and Fortnite fans, ages 13 and up. CHOOSE AN OUTFIT: The game comes with 27 Fortnite outfits with pawn stands, and players can choose to play as their favorite.